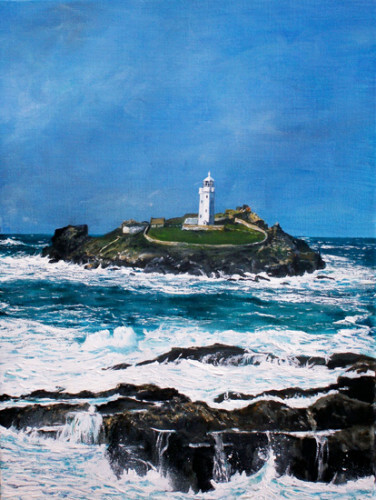 available as a professional giclee canvas print – please choose from the options when purchasing. 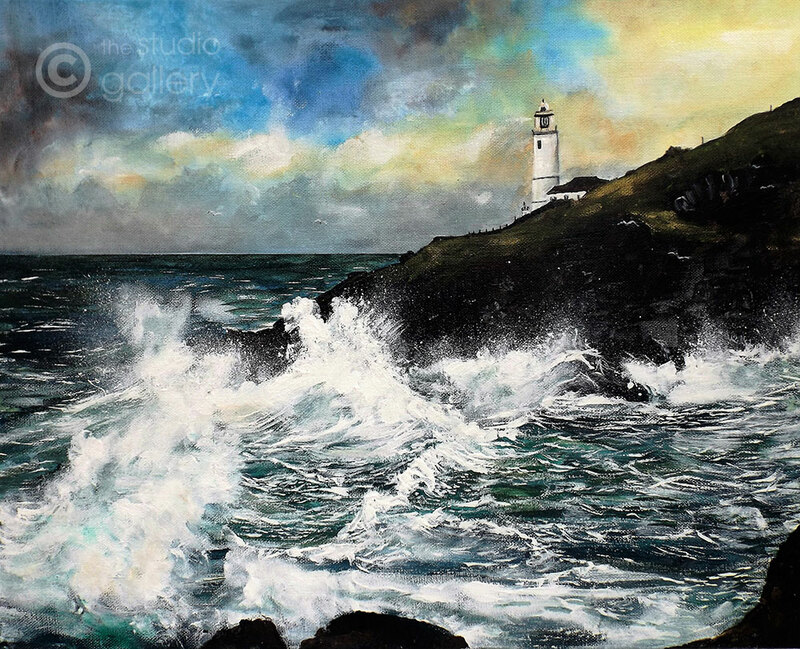 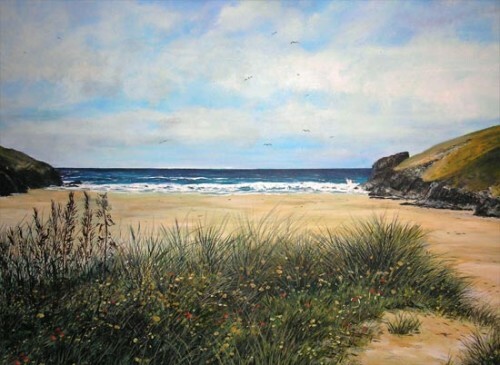 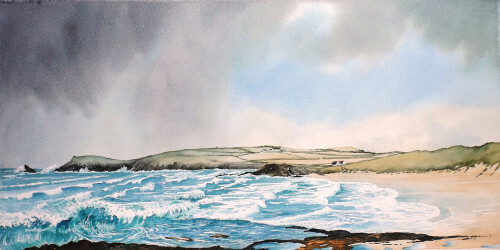 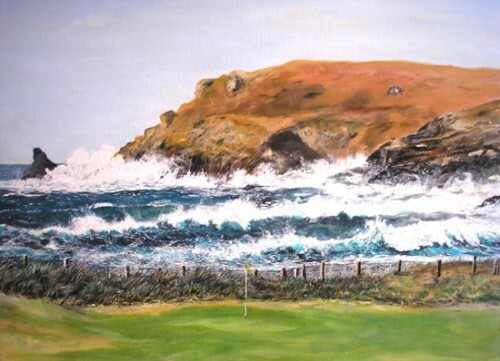 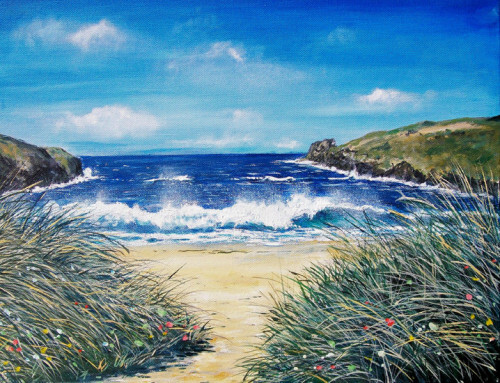 Storm Clearing Trevose Head – Acrylic on canvas original painting by Mike Bailey of Trevose Head and Trevose Lighthouse with stormy waters. 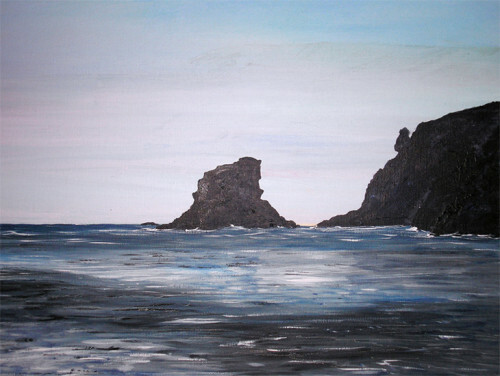 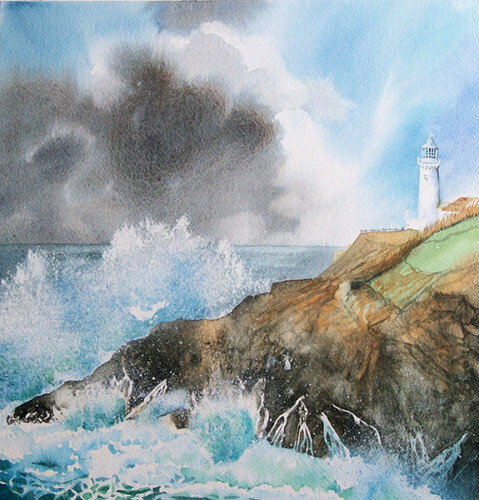 A depiction of breaking waves against the rocks as a storm clears. 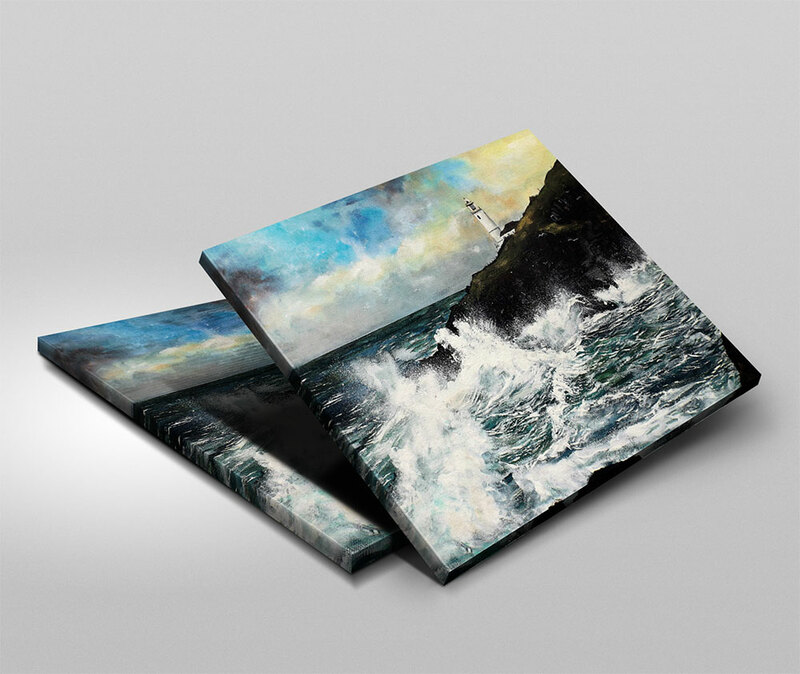 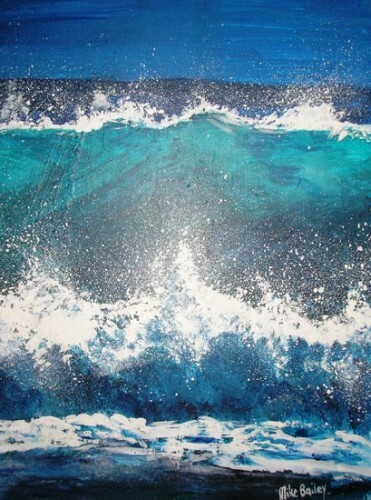 Professional Giclee canvas prints available in the same size as the original.